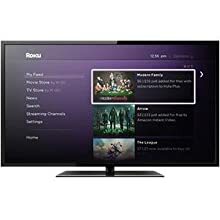 Roku 3 works with virtually any TV with an HDMI® connection. You can plug your Roku 3 directly into your TV or receiver depending on your preference. 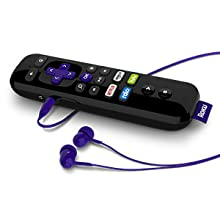 Setting up your Roku® player requires that you have a broadband Internet connection, a wireless router (and/or wired for Roku 2 or Roku 3), power , an HDMI® cable (sold separately), and an HDTV. Once you have all of those ingredients, just plug in your Roku player. Our guided set up will walk you through updating and installing channels. Roku 3 is the fastest, most powerful Roku player. Enjoy more than 2,000 streaming channels offering access to 250,000+ movies and TV episodes, plus games, music, sports, and more*. The included enhanced remote offers voice search, headphones for private listening, point anywhere ease of use, and motion control for gaming. Search the widest selection of channels and get automatic updates on new movies. Enjoy up to 1080P stunning HD video* as well as Ethernet, USB, and microSD card ports. *Some channels require payment. Channel availability can change and varies by country. Availability of 1080p HD video limited by channel provider and speed of broadband connection. You choose from a huge selection of streaming channels, you can even follow movies coming soon. 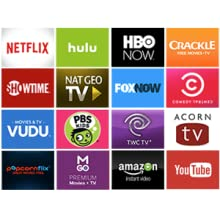 There are hundreds of free channels, easy ways to buy or watch films from top providers, and no additional charges to watch streaming services like Netlfix or Hulu Plus if you already subscribe. And if you have cable, Roku players bring new ways to watch based on your cable subscription. 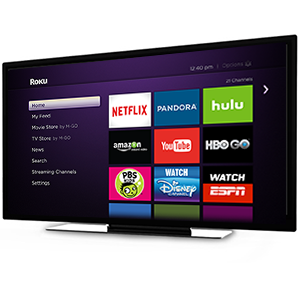 Roku 3 is lightning fast and loaded with features. The enhanced, point anywhere remote features voice search, gaming, and headphones for private listening. 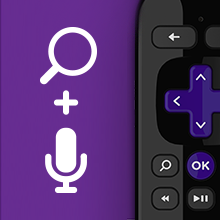 Voice search included with Roku 3 makes it fun to find what you’re looking for. 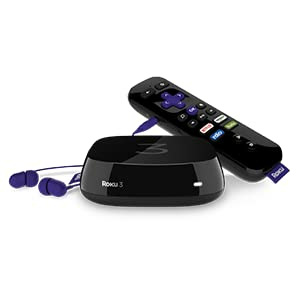 The Roku 3's enhanced remote includes a built-in headphone jack for private listening. Use it with the included in-ear headphones to watch that late-night movie without waking up the rest of the house.